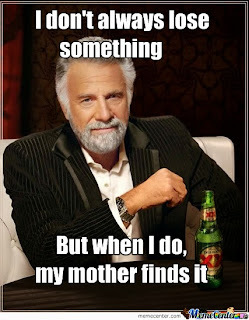 My Musings: Mamma can find everything! Every time I don’t find something I’m looking for, I terribly miss my mom. My mind wanders to my childhood days when I had not moved out for higher studies and mom was always there to the rescue. My mom had this uncanny knack of finding things effortlessly that everyone else had failed in spotting, and I had the tendency to forget where I kept my stuff. That made for some very interesting happenings at home every other day. I always made sure that I had exhausted all my faculties of searching and was left with no other recourse before I admitted defeat and called my mom. While marching in, mom used to declare that I would be in for some good scolding if what I had been looking for unsuccessfully for hours actually was just lying around in the open, like always. I used to be outraged and protest that this time the object I was looking for was definitely not out in the open. And then upon magically fishing out the lost object in the blink of an eye, mom used to tell me, every time, for the umpteenth time, that I’m practically blind! It brings a smile on my face every time when I remember those moments. Now that I think of it, I realize that my mom was my troubleshooter in every respect. 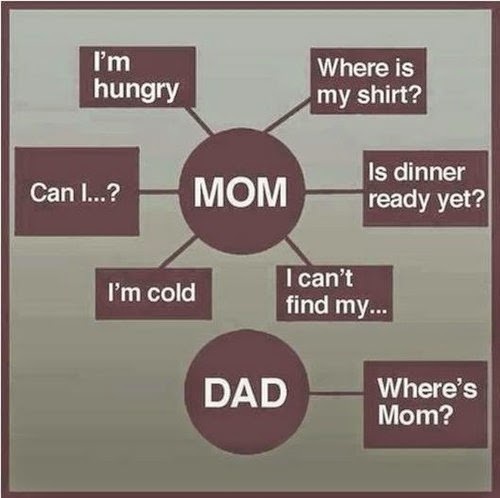 She had magical powers for everything, like I guess all moms do. She was my go-to-person who had the solution to all my problems, always. She donned multiple hats and was equally adept at everything! She was the one and only expert I ever needed! At 23, I feel all grown-up, living alone in Mumbai and supporting myself financially but when I look up to my mom, I understand what it means to be grown up really and how far I am from reaching there. Taking responsibility of others’ well-being and always being there for them- I guess that’s what being grown up actually is, and no one does it better than my mom. I thank Godrej, the most widely trusted expert when it comes to hair color, for this post as their campaign this Mother's Day inspired me to recollect my memories with my mom, my first expert, and share them here. I would like to end my post with this image that hits the bull's eye perfectly. 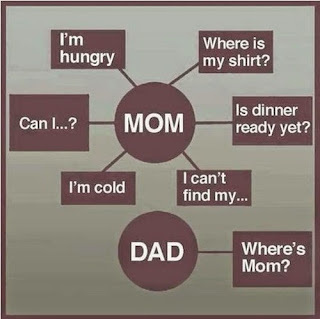 Aren't all moms like that! my mom is go-getter too!! 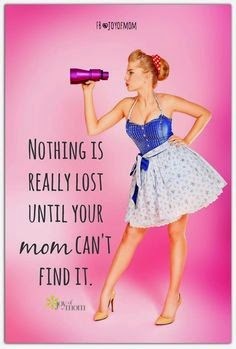 and I am amazed by the sheer number of things I cannot find without her help!